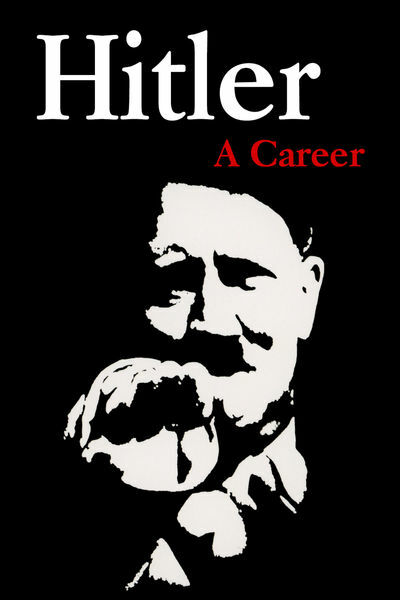 “Hitler: A Career” is Joachim Fest’s controversial German documentary film about the inevitability of Hitler and Fascism within Germany. Narrated by Stephen Murray, it tells the story of Hitler’s rise to power from a German perspective; and Hitler’s uncanny ability to satisfy the German people’s emotional and psychological needs. But how did this unknown Austrian boy seduce the German people into becoming a Nazi state? Why did Germany follow Hitler to the brink of destruction? Fest’s documentary film answers these questions by tracing the roots of fascism to Germany’s historical heritage. Using unseen footage from the German war archives, “Hitler: A Career” presents a compelling picture of the rise and fall of Hitler and the Nazi empire. It was not Hitler who created Nazi Germany; but Germany itself that created Hitler.